For thousands of years, honey has been used extensively for a variety of tasks: cleaning wounds because of its antibacterial property, as a dietary supplement, as a gel for hold on updos, and much more. While your everyday honey is great for all of these uses, there is a new type of honey out there that is quickly gaining popularity for its purity and potency: Manuka honey from Australia and New Zealand. Many women who suffer from dry skin due to harsh commercial cleansers, acne and rosacea swear by the use of honey for washing their faces. Honey is suitable for use as a daily cleanser because of its antibacterial properties which allow it to gently cleanse the skin without stripping it of all of its natural oils. But the benefits of Manuka honey come from it's increased antibacterial potency. Since honey is has a low pH of around 4.5 it is said to be pH balanced and helps to maintain the optimum pH of the skin. To use Manuka honey as a cleanser, place a dime sized amount on your hand and rub it on your face using circular motions. Then grab a wash cloth and soak it with warm (not hot) water and place the cloth on your face. The heat of the cloth should open up your pores for deeper cleansing. Remove the wash cloth from your face and rewet it and gently wipe the honey off of your face. The heat of the water and the wiping motion should remove all the honey from your face. Then feel free to moisturize your face like normal. To prevent split ends: Mix 1 tablespoon of honey, 1 tablespoon of mayonnaise and 1 egg in a bowl and apply it to the ends of your hair. This treatment provides both the moisture and protein the hair needs to avoid damage. To avoid hair loss and regrow thinning hair: Many men and women have sworn by a mixture of 1 tablespoon of honey and 1 teaspoon of cinnamon applied to the scalp and gently rubbed in before each wash session. Although it is not scientifically proven, the testimonials speak for themselves. To prevent dry scalp and remove build up: Mix 1 tablespoon of honey and 1 teaspoon of brown sugar, apply it to the scalp and gently exfoliate. Then cleanse your hair normally. This gentle scrub will rid the scalp of dead skin and excess hair product and provide it with moisture to help prevent flakes and itchiness. To fight frizz and give your hair shine: Mix about a teaspoon of honey to your conditioner or deep conditioner in a bowl then use it like you would normally. 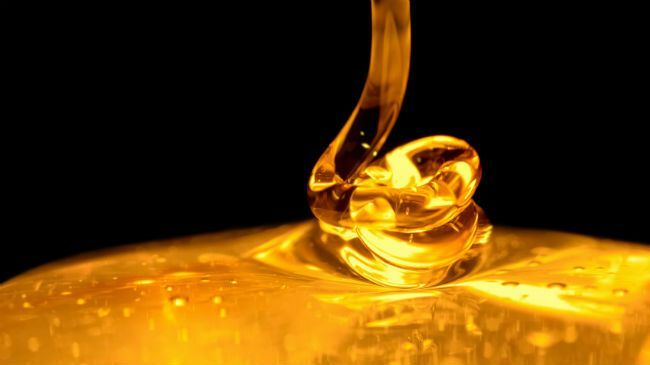 Since honey is a humectant, it will help to draw moisture from out of the atmosphere and into your hair. There are many reputable providers and you can do a quick search to find them. However, please note that there are two types of Manuka honey, the normal and UMF kind. If you are purchasing the honey for its antibacterial properties, be sure you purchase the UMF variety. However, if you’re like a lot of naturals who don’t like to whip up their own goodies, you can find Manuka honey in L'ANZA Healing Strength Manuka Honey Conditioner and a few other products. Do you use Manuka Honey in your natural hair regimen? This article was originally published in August 2012 and has been updated for grammar and clarity.